The Restaurant School at Walnut Hill College is a culinary institute in Philadelphia, PA that offers degrees in culinary and pastry arts as well as restaurant and hotel management. WHC also provides community education classes and four award winning restaurants for the public to learn and enjoy. For over 40 years the school has developed locally and internationally renowned chefs, restaurant and hotel owners and managers, and hospitality directors. As a multifaceted educational institution, WHC requires a versatile website that not only satisfies its various departmental goals but maintains a fun and useful experience for potential students. Their previous website was missing the mark, with outdated design and features and a not-so-intuitive navigational structure. WHC partnered with eCity to build a new website that would visually appeal to young people from diverse backgrounds, while providing an easy and informative path towards enrollment and ongoing engagement. 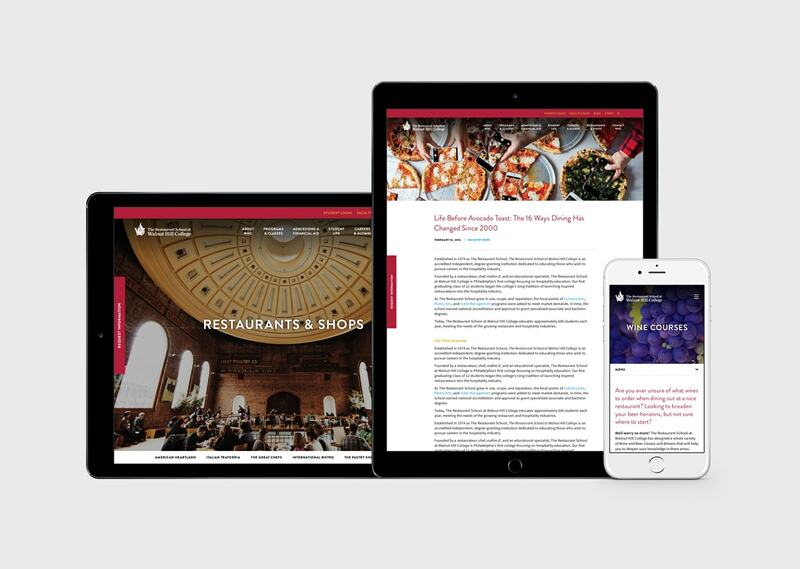 Creating Personas for University Websites – Download our white paper and find out how to create detailed user personas that will help you determine where to focus your time, guide marketing and allow for alignment across the university. eCity worked with WHC to determine the top priorities of their target audience: potential students. We built a navigational structure around clear traffic funnels, leading users through the process of learning about the school and its success record, applying for financial aid, and enrolling in a program. We refreshed their existing brand, designed the site to look modern and eye-catching, all while accommodating WHC’s specific content types. Easy to use contact forms, downloadable resources, and quick links to registration created more interactive and successful courses of action for degree-seeking and continuing education students. 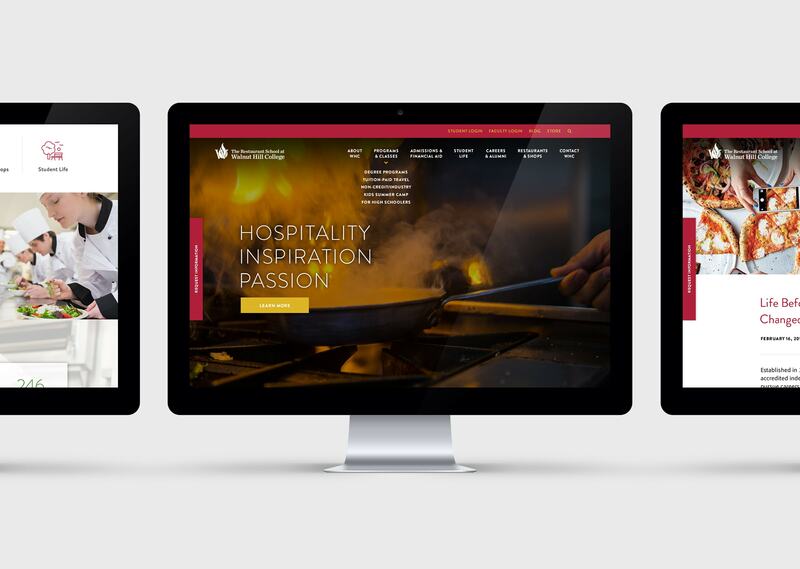 The new site updates The Restaurant School at Walnut Hill College brand, digitally representing the exciting and enriching real life experience students have in school there. Potential students are drawn to the site and are able to quickly receive the information they need to decide on a major and enroll, starting their journey to becoming a successful hospitality professional.